For most start-ups they’ll be bumps along the road and as an entrepreneur you are bound to have many strengths – but also, inevitably, some gaps in your knowledge – which is why finding a mentor can be invaluable to your business’ success. Whether it’s advice on your business strategy, or just the benefits of a new perspective, a mentor can offer support to help with the day-to-day running of your business but also tips on how to scale-up – so finding one should be a priority. According to Love and Mohammed business mentors act as a background sounding board that you can bounce ideas and business decisions off, and who will help you to realise what you want to achieve and how to go about getting it. Furthermore, the right mentor can assist you with the basics of running a business, something that both experts emphasis is often missed by new companies in the excitement of launching and initially running a start-up. For example, a mentor will help you realise that instead of a one year business plan, a company needs a strategy for two or three years so it plans for scalability – a good mentor will push you to do this and will help you to practically implement your plans. Although a mentor will be there to guide you, the business still belongs to you and a mentor should not run it. They’re not there to solve all of your business problems but to watch and challenge you to figure out your business strengths and weaknesses and how to improve. When choosing a mentor, companies need to ensure that the relationship is an adult-to-adult one and not a parent-to-child or teacher-to-student one. This is about being confident, giving and expecting respect, and making the final call on choices for your company. As the owner of your company, you are the one who has to make the decisions and the mistakes – the business is your responsibility and these mistakes are often important learning curves in becoming a successful entrepreneur. There are a number of different places that you can find a mentor but one way is to look at your network – many are either within or just one person outside of your group of contacts so be resourceful. Online can also be a good resource as there are many organisations that can connect you with a mentor, even if it means reaching out to a business owner you see profiled on a site. Networking events are also often the ideal place to find someone, as many established business owners are often looking for a way to challenge themselves and are happy to give up their time. However sometimes start-ups may need to “work the system” according to Mohammed, meaning they may have to take small investment from an organisation/investor to get the accompanying mentorship. Mohammed advises that businesses must be willing to be creative when looking for a mentor and think outside of the box. Love and Mohammed recommend that you do not pay a fee for a mentor as you need to have someone that is interested in your business for reasons other than money – as this may cloud their judgement. Someone who is interested in mentoring for motives that aren’t fianncial will be more honest about your strengths as an entrepreneur and your business ideas. Also look for confidentiality in a mentor, according to Love and Mohammed this is key to a healthy mentorship as you need someone who you can turn to when you’ve made mistakes. This in turn will mean that a mentor will share things with you, therefore creating a mutually respectful relationship. Construct what you want and pitch your idea – like you would for funding. If seeking mentorship you need to know what you want to achieve in your business and what you want to get out of mentoring before approaching someone. 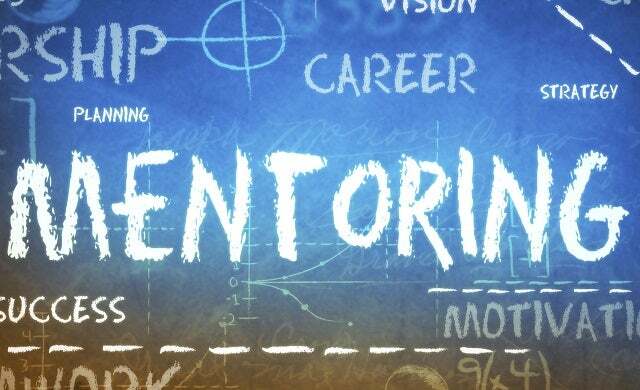 Furthermore mentoring is a two way street so be mindful of what a mentor wants. A business mentor is often there as they are passionate about entrepreneurialism and want a challenge; you need to show that you value this time and that you are passionate too. This goes further than the initial pitch, you have to remain engaged throughout your mentorship. Love recommends that you figure out what you want out of a session – is it general advice or something specific, follow guidance and keep your mentor as up-to-date as you would want to be. Communication is key, so let them know about the little successes as well as the big mistakes. An entrepreneur needs to be aware that you need a different mentor for the different stages of your company’s growth. The mentor that helps you structure your business idea, complete your market research, and write and implement a business plan, will probably not be the best mentor to help you scale your company, get your third round of investment and start exporting. As a business, you must go with the mentor that will help you achieve what you want in the future and not just choose someone who can help with what you are worried about right now.